LAST SPRING FOR COMBE HAVEN VALLEY? 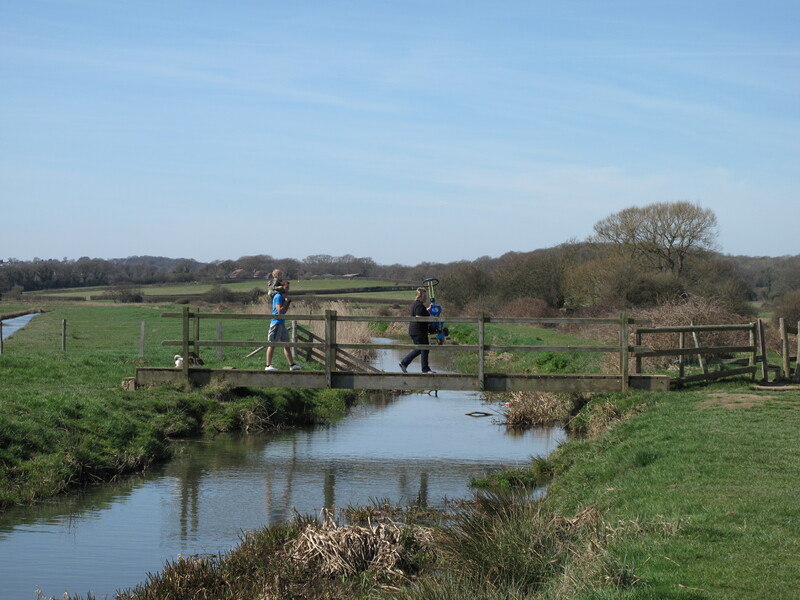 Combe Haven – beautiful, tranquil, safe, for all the family – but not for much longer. As we now all know, the highly speculative BHLR project received a £56m cash boost from government in the budget, leaving council tax payers of East Sussex to stump up the rest. With an absence of ‘developer contributions’ that could mean the total cost of BHLR and associated infrastructure could soar way past the £100m mark. There is no question that the road scheme, which was levered in to the transport studies of 2002, will wreck a beautiful part of East Sussex, within walking distance of some of the most deprived wards of Hastings and Bexhill – and a great tourist and recreation asset for all. There is no equivalent asset available. Damage cannot be mitigated. This has been our inheritance; it should be our childrens’ inheritance. The Hastings Alliance position remains the same: there is no proven need for the link road, either from a transport point of view, or to access development. There are highly likely to be alternatives. They have never been examined. A full and proper examination of packages of sensible, viable alternatives has been resolutely avoided by East Sussex County Council. The Hastings Alliance will continue to report. The Hastings Alliance today reacted with great disappointment at the news of the go-ahead for the Bexhill to Hastings Link Road (BHLR). “This is a failure at all levels of government to recognise a great opportunity to develop a showcase in Bexhill and Hastings for sustainable development and transport. This would have given us – and more importantly, future generations – the best in high quality public transport, with cycling and walking routes in safe, green and pleasant streets: an example for the UK. Instead, with the publicly funded £100m link road encouraging more car trips, we will have traffic dominated developments and the worst in urban design, with more congestion problems ahead on all existing roads, and a growing carbon footprint. The pain is greater for it being a local road paid for with at least £29m coming from local pockets. With the car based development that will surely follow the link road, the alternatives will always be lagging behind and begging for investment that should rightly have gone to support their development, not increased car dependency. There is no evidence that jobs claimed to follow the link road will actually materialise and no mandate for such speculative development using public funds. The monument to the BHLR will be the wrecked inheritance to tomorrow’s residents – the outstandingly beautiful Combe Haven valley – with tens of thousands of motorists a day polluting and passing through it, saving themselves little time until traffic quickly grows and slows in the resulting congestion. Resulting increases in CO2 emissions too should not be acceptable. Our campaign continues”. “Reports commissioned by us and other groups show conclusively that the BHLR is very poor or even negative value for money, that alternatives have been set aside or ignored altogether, and that environmental damage has been seriously underestimated. The singular focus on the BHLR project has resulted in a lost decade of progress on alternatives, poor consultation and engagement with the public to design and deliver them, and a pretence that sustainable ways of accessing development land do not exist. The cost to the public purse to the tune of £100m is unacceptable in any case, but to grant funds for an outmoded car based model of development irrelevant to the regeneration of Bexhill and Hastings at a time when funds are scarce is remarkable for its detachment from reality. Our opposition to the BHLR is undiminished”.